Despite the teeny tiny cold front that hit Texas yesterday, it’s still too hot for these gorgeous boots. But after staring at them for the past month, dying to wear them, I decided to style them for a little pre-fall blog post. I usually buy one or two pairs of boots every year, and this year I wanted a cognac brown casual boot that I could wear with jeans and dresses. Because I am short, I almost always head to a store to buy tall boots. I wanted this pair to hit that sweet spot below the knee but above mid-calf. 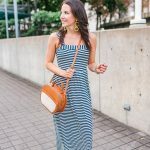 I’m definitely predicting these boots will be on major repeat for fall and winter, so get ready for some fun outfit ideas with these beauties including this perfect Farmers Market outfit! Once the weather cools off, one of my favorite Saturday morning activities is to head to our local farmers market. Our market is held in a large uneven parking lot, so these boots will be perfect to trek through and check out the different farm booths! 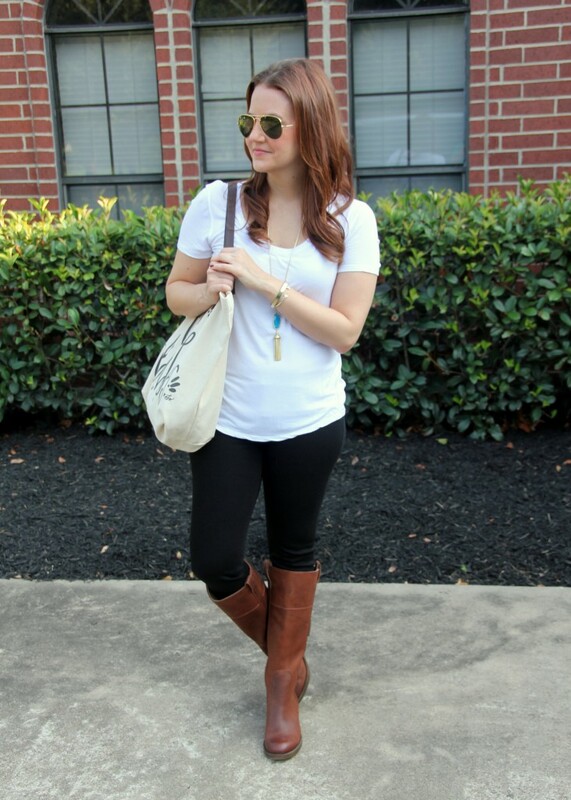 I’m planning on continuing my love affair with jean leggings this fall! This pair from DL1961 are so comfy, and they fit perfect inside boots. Bonus, use promo code KAREN30 to receive 30% off your entire order thru the end of August!! Farmer’s Market Tip- bring your own bag! While most of our booths have bags for what you purchase, it is so much easier to carry everything in one bag that you can toss on your shoulder. 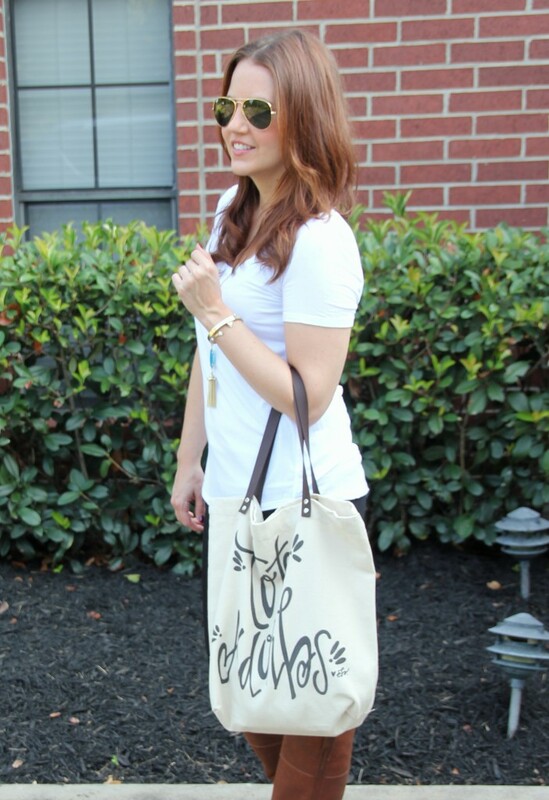 I love this cute canvas tote from My Kind of Lovely. The handle is soft leather which makes it really comfortable on the shoulder. 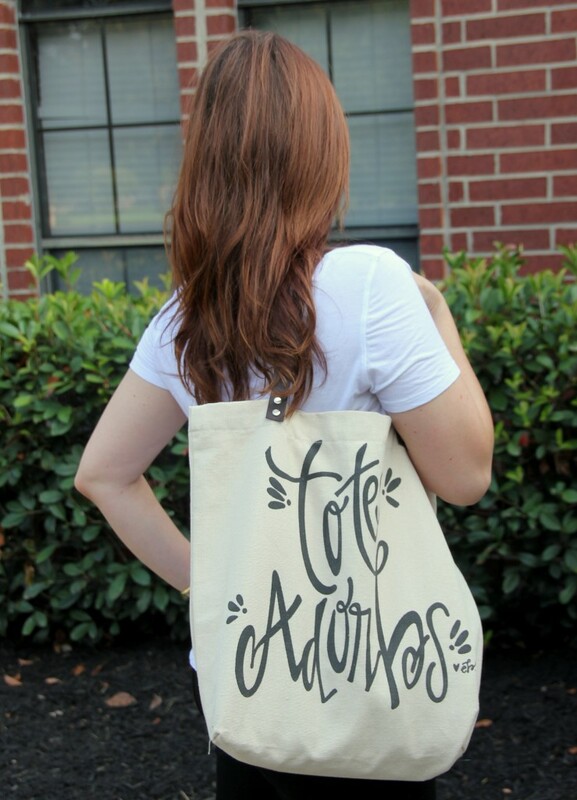 My Kind of Lovely is more than just cute bags with a fabulous clothes and jewelry collection too. I love their dresses! You can receive 15% off your entire purchase with code LADYINVIOLET through September 30th! They are also going to give one of you a $50 gift card to shop!! Check out the Rafflecopter below to enter! The giveaway will run for one week and the winner will be announced Monday August 31st! Good Luck! 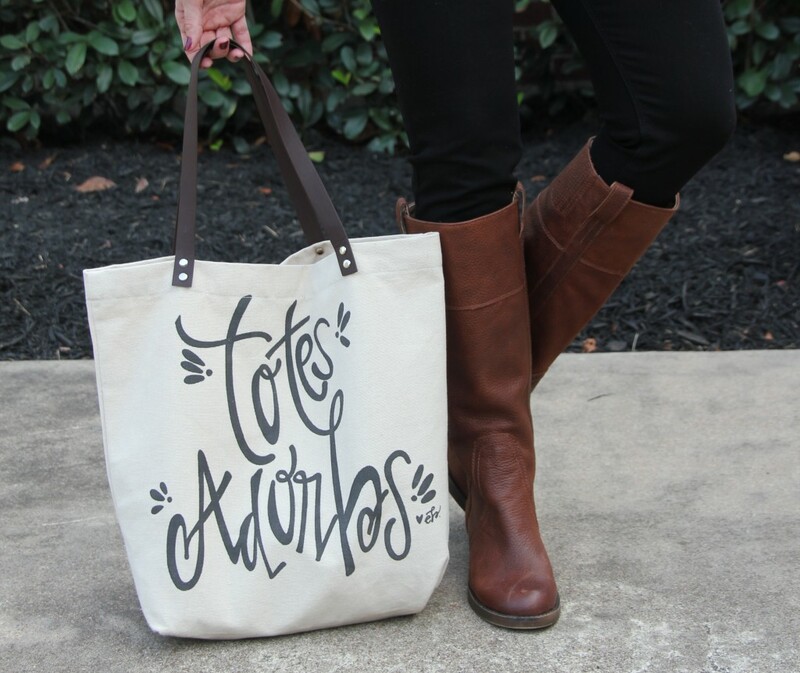 That tote bag is “totes adorbes”! Love the knee high boots too – unfortunately, it’s going to be awhile before its cool enough for me to wear boots! That is such a cute bag. And those jeans look fantastic. I’m on the hunt for a new pair of skinny jeans, I will have to check the brand out. Cute look! Thanks so much for being a part of Fun Fashion Friday! totally understand! I’ve done that many times hahaha also I freaking love you’re bag!!! awesome post. 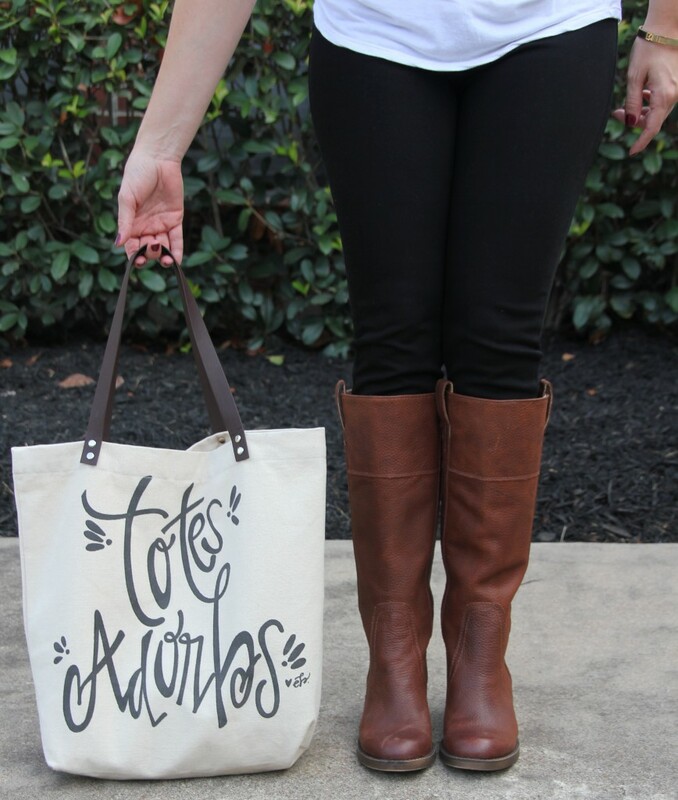 Such a cute tote! Perfect for the farmers market. So comfortably chic! Love the look! 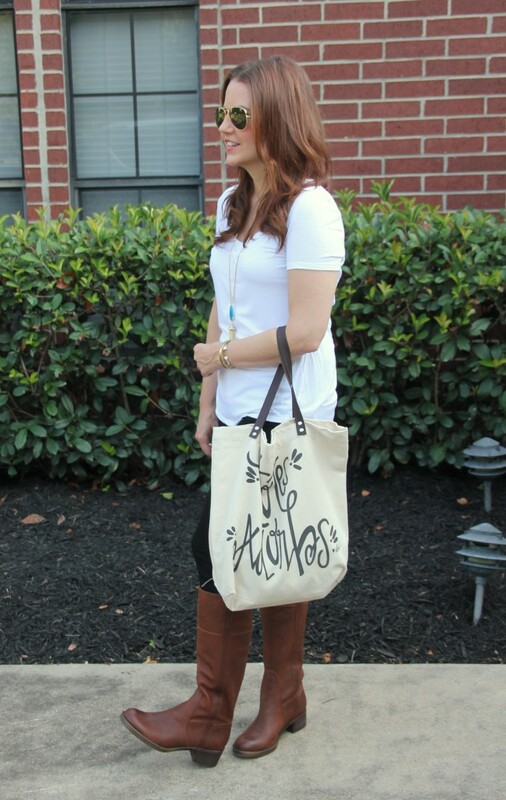 Just found your blog via the style saturday link up – and I love it! 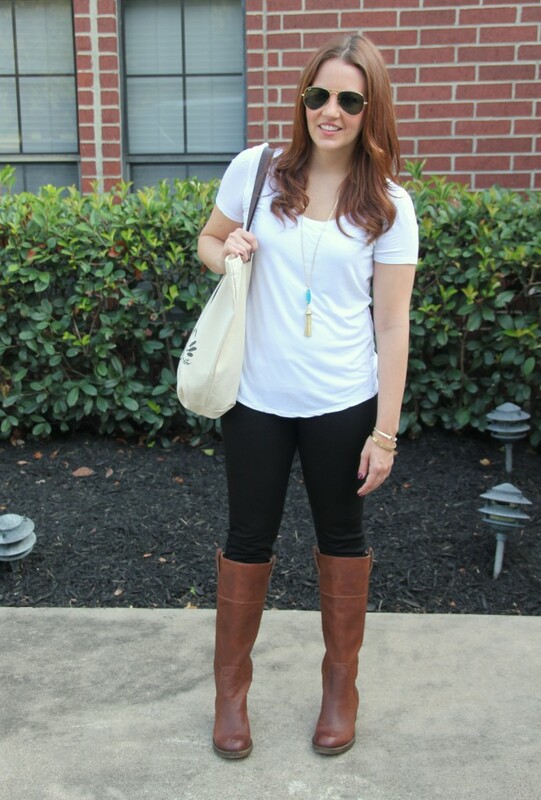 This is such a great laid back early fall outfit! Thanks for sharing! Great look! I can’t wait to get my boots out! I used to work at the farmers market and I wish people would come dressed like this! They would be looking a mess. You look so cute but simple! this outfit is so cute!I’m dying to go to the farmers market! Great transition look! That bag is just tooo cute! I just got a pair of cognac boots below the knee – similar to those – and I can’t wait to wear them this fall! love this outfit, perfect summer to fall transition outfit!